As a seasoned guide and outfitter with 14 years of experience ranging from New Mexico to Alaska, I have asked myself, “What is a trophy?” countless times. Male or female, young or old, wealthy or day laborer doesn’t seem to matter in the hunting world; the language that seems to link all hunters is, instead, the ability to speak in “inches”—and it doesn’t seem to matter who measures the inches: Boone & Crockett (B&C), Pope & Young or Safari Club International. While some use it as a means to communicate generalities of size, others see it as a benchmark minimum in determining the success of a hunt. 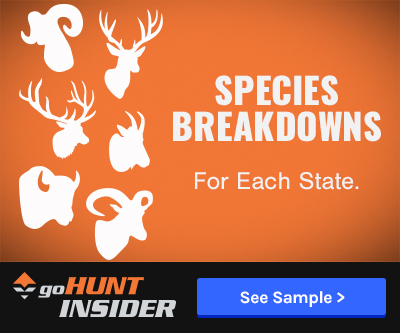 With the increasing popularity of hunting magazines and websites, many of the biggest trophies harvested each year are seen by millions of people. Sometimes this can distort a hunter’s viewpoint of what a “representable” animal looks like for a certain species. The reality is no matter how hard an outfitter or guide tries, not every person hunting with them each year will harvest an all-time B&C animal. These animals are truly special in that they have both the genetic potential to grow world class headgear as well as being able to survive long enough to develop it: a truly rare combination. Both of my clients spoke very highly of him and were adamant that this guy was the most genuine, nicest guy I would ever meet. My phone rang later that afternoon with an unknown Montana phone number. On the other end of the line was the proud recipient of the Idaho moose super tag. 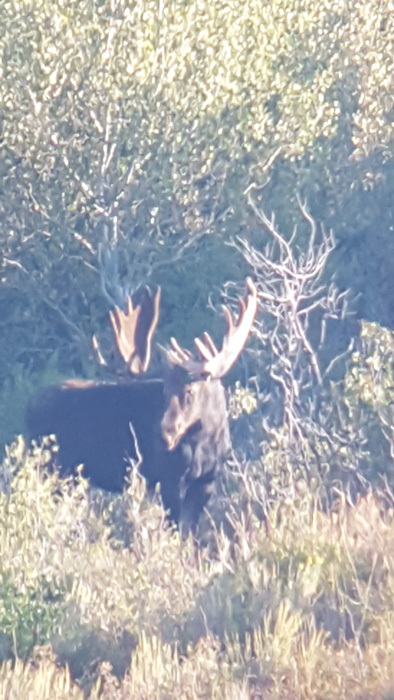 After introducing himself as Dyrk, he started off with, “Based off the conversations with mutual friends it looks like we are hunting moose together this fall like it or not.” This guy was stoked. After talking with him for 20 minutes I think I was as excited as he was. It was obvious what an accomplished bowhunter he was with numerous animals harvested all over North America, including a top five all-time Stone sheep. His energy and enthusiasm was contagious. He booked with me during that initial phone call and I don’t know who was more pleased about the arrangement. Guiding these kinds of tags always seems to carry an additional mental weight along with them as they are generally once-in-a-lifetime situations. 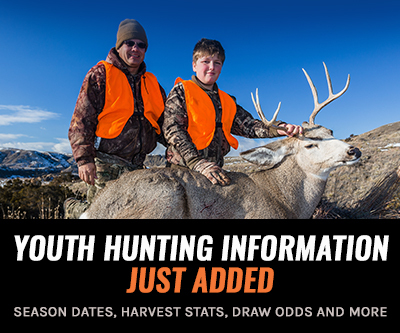 We put considerable time into scouting for these hunts and keep in constant communication with our hunters with phone calls and emails to detail what we are finding. When I asked Dyrk what kind of bull he was looking for he informed me that it was his longtime goal to harvest a B&C qualifying bull with his bow—a genuine challenge for sure. When Dyrk showed up for the hunt we performed the usual weapon check to determine if everything was performing as planned. Dyrk was putting his groups into an orange-sized cluster all the way back to 60 yards. It was obvious he had practiced diligently and was comfortable with his equipment. Dyrk was unable to hunt the opener due to a prior booked hunt, which meant that we were starting a week into the season and the warmer weather was making for tough hunting, keeping the bulls holed up in thick vegetation all day and feeding during the cool hours of darkness. After several unsuccessful days, we agreed to suspend the hunt and start again later in the season when the bulls would be rutting. Dyrk came back a month later and we had several great bulls located again. The first bull we went after was huge—an obvious top 10 all-time B&C bull. On the first day, we had fog moving in and out of the pocket we were in and we just couldn’t seal the deal. Regardless, it is always fun to be that close to a giant. 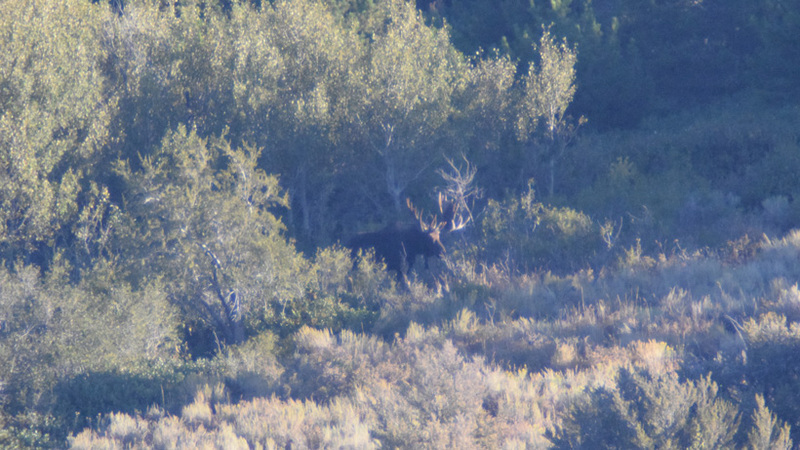 The bulls were rutting hard and we were pumped to try again the next morning. That evening passed with fretful sleep and we all rose early, eager to resume the chase. We located the bull right after sunrise and couldn’t believe our misfortune. There, standing 50 yards away was the giant bull with only one antler left! He had broken the right side of his paddle off very near the pedicle. What a fight that must have been that night. We were able to call him in very close and could have easily harvested him. 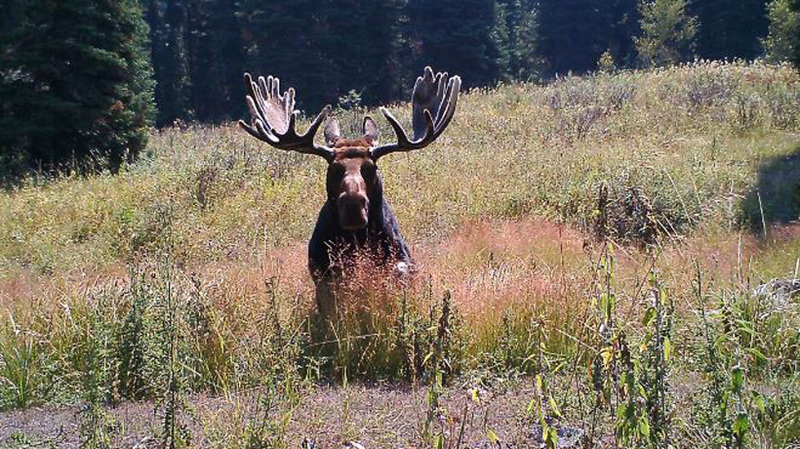 I am excited to try and locate him again this year. We shifted gears to another area where we had spotted several large bulls before. That afternoon proved fruitful with multiple bulls coming in to the calls. As these situations so often play out, things started to happen quickly. Dyrk and I were team calling 20 yards apart; he was cow calling and I was putting a few grunt calls out. We knew there was a bull pushing a cow right in front of us but still had not managed to see him. We dogged him for about 300 yards until we got in his bubble. Dyrk and I were standing right next to each other when we heard him turn and start to come to us. I ran back about 20 yards and within 45 seconds I saw a chunk of paddle. Instead of him coming straight across to me as we had hoped, the bull found himself struggling to get through a patch of chaparral. Suddenly, I realized that the bull was so focused on my calling that he was going to run right over Dyrk! I watched Dyrk quickly pull back his bow and release an arrow. The first shot struck the bull in the brisket and exited out his lower back at 7’! In the next five seconds, he put two more arrows into the bull’s vitals and the bull didn’t make it 20 yards before he went down. I was a little shocked how quickly things transpired and, before I knew it, Dyrk was tackling me to the ground. He was pumped! I told him I didn’t get time to try and visually score the bull to see if he was the right one and his only reply was, “Hoby, he’s the right one!” The rush of adrenaline that bull provided as he came storming into the calls made for an unforgettable experience. Dyrk was thrilled about the moment and the whole notion of what the bull scored went out the window. We both felt transported back to when we first began hunting and how thrilling it was to accomplish any small measure of success. This proved to be a good reminder for me that we sometimes rely too heavily on measurements to determine how successful a hunt is. 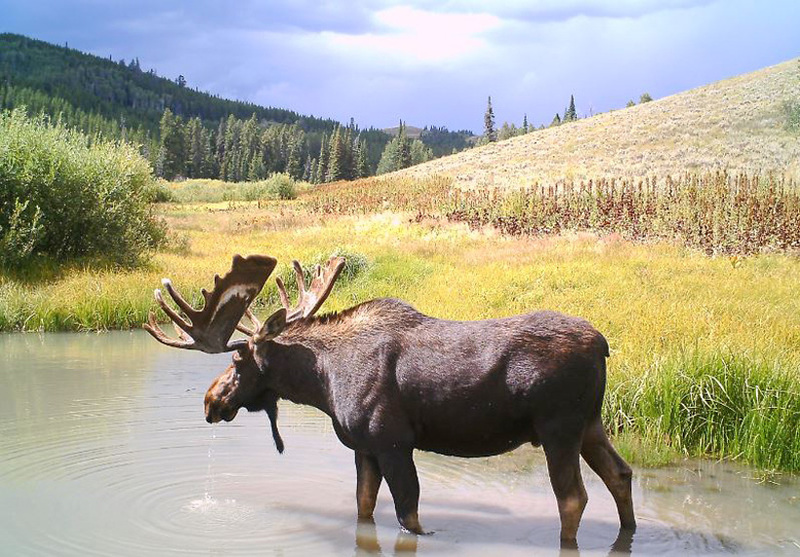 The moose hunting in Unit 54 is exceptional due to the quality of management performed by the Idaho Department of Fish and Game. They are committed to not over-harvesting the resource and allow bulls to reach their full maturity, which can take eight to 10 years. While the total population is small, it is thriving due to great habitat and management. I feel truly blessed to have the opportunity to hunt these amazing animals in such beautiful country. As I reflected on my hunt with Dyrk, I knew I had experienced what all outfitters look for: a hunter who was dedicated to proficiency with his weapon and who did not let inches determine his level of satisfaction at the end of the day. 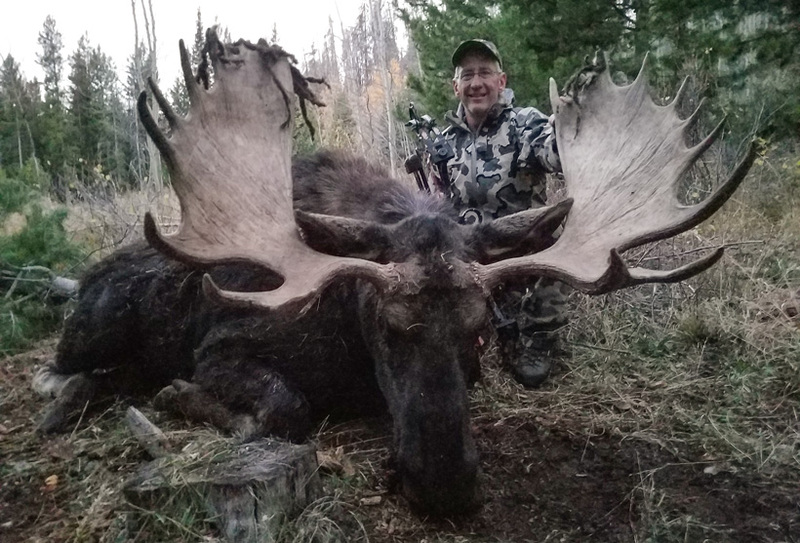 This moose was a true trophy in any outfitter’s eyes and will provide plenty of meat for the table. And me? Well, I know I have gained a friend for life. 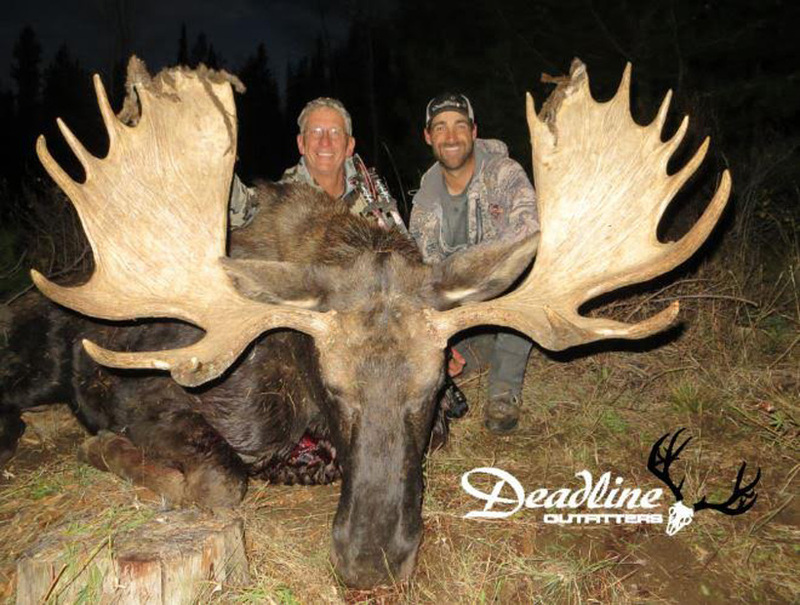 For more information on moose hunting in Unit 54 in Idaho, you can check out Deadline Outfitters. Great Story. Great Hunt. Super great bull. This is the type of hunting story, guided or do-it-yourself, that keeps me coming back to GoHunt. And oh yeah, it's alright to tell us the B&C/P&Y score total. Sometimes pictures are harder to score than the actual beast. Again, my compliments on your writing-guiding-hunting.